In Tulsa, we operate peer-run drop-in centers that offer a family and supportive atmosphere for adults experiencing the challenges of homelessness and mental illness. All staff members have experienced the difficulties of living with a mental illness in their own lives, giving them the ability to truly empathize with participants. Services are nonclinical and voluntary. We empower participants to pursue their own recovery to rebuild their lives through participant-run programs and the friendship, support, and understanding of peers. 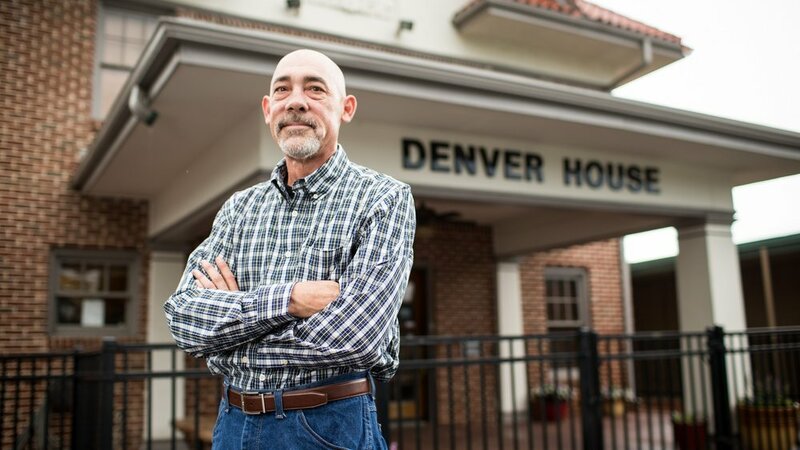 A peer-run drop-in center operates from a “no wrong door” philosophy. Anyone 18 or older who comes through the door can participate as long as they are sober and respectful of others. A drop-in center is a place where participants can socialize, relax and participate in their own growth and development. We help those we serve become more socially active and effectively progress on their road to recovery while building strong and supportive relationships within their communities. A drop-in center is a place where participants can socialize, relax and participate in their own growth and development. We help people we serve become more socially active and effectively progress on their road to recovery while building strong and supportive relationships within their communities. Drop-in centers offer a variety of services, including facilitated educational and social groups. One of the major goals is to help promote self-determination in our participants, so they can take control of their recovery. Groups offer participants the opportunity to learn valuable life skills through focusing on topics, such as self-esteem, socialization, recovery from drugs and alcohol use, managing mental illness, accessing community resources, and living with Post Traumatic Stress Disorder (PTSD), among others. Because some participants are experiencing homelessness, many of them require assistance meeting basic needs. These individuals may not know how to access critical resources in the community and they often lack a voice to advocate for them. Staff members provide case management for participants seeking housing, jobs, resume assistance, health and mental health screenings, and more.